Product categories of 30hp Wheeled Tractor, we are specialized manufacturers from China, 30Hp Wheeled Tractor, Mini Agricultural Wheeled Tractor suppliers/factory, wholesale high-quality products of Self-Propelled Tractor With Cab R & D and manufacturing, we have the perfect after-sales service and technical support. Look forward to your cooperation! Environment friendly, our product is equipped with the diesel engine manufactured on the basis of British technology, characterized by big torgue, powerful overload capacity and low energy consumption. Besides, our product is quite popular with farmers by virture of the following features. 2. The hydraulic steering system, independent oil-way, and multiple rotating speeds, can fully meet the requirement for different working conditions and farm implements. 3. Safe and reliable, our half-track tractor is provided with pedal-operated hydraulic brake and manually controlled braking system. 4. This agricultural half-track can be installed with oil separator for powerful lifting force. Moreover, the forced soil penetrating device is optional, as well. 5. The pneumatic brake system and the 1/2 /3 groups gydraulic output multiway valve are available according to the actual demand of the customer. 6. The heating system, air condition, and the audio system are selectable for cab of the agricultural vehicle. The comfortable driving will bring you high working efficiency. 7. The transfer box and rear track of the eco-friendly half track is interchangeable with that of series. So it can be used as a Wheeled Tractor. Semi-Automatic PET Bottle Blowing Machine Bottle Making Machine Bottle Moulding Machine PET Bottle Making Machine is suitable for producing PET plastic containers and bottles in all shapes. It is widely used to produce the carbonated bottle, mineral water, pesticide bottle oil bottle cosmetics, wide-mouth bottle and hot fill bottle etc. Beverage bottle, cosmetic bottle, medicine bottle, jar etc. New styling closed cab, beautiful, wide scope of sight, with heating and ventilating devices, A/C and CD player is fitted. Wide selection of gear change, wide range of speed, max speed up to 37 km/h, high operating efficiency in farm fields, power train has independent lubricating and radiating unit, reliable to use. Rear wheel base infinitely adjustable. Hydraulic steering, with independent hydraulic loop, safe and reliable. Mechanical self-boosting braking structure, reliable braking, safe and easy to operate. Differential lock uses electronic hydraulic control. Master clutch uses air boosted pedal hydraulic control, the secondary clutch uses electro-hydraulic control. 3-plate multi-way valves and inlet quick change adapter, used for operating of folding harrows and reversible ploughs. The tractor has big traction force, can work with heavy duty implements for combined operation. Big lifting force, oil dividing of hydraulic system, forced soil-intrusion functions, with position and draft adjusting of tilling depth control modes. Electro-control suspension is optional. Small steering radius, portable and flexible. Super power: equipped with famous domestic brand engine with low oil consumption and good large reserve power. High reliability: composed 16F+8R gearbox is adopted meshing gear shift with durability, helical gear rolling. Using of independent fuel tank in hydraulic lifting system which can make the hydraulic fluid is clear as well as equipped with dual-stage clutch. Comfortable driving: new streamlined appearance, fully enclosed cabin, broad vision, dustproof and driving comfort. 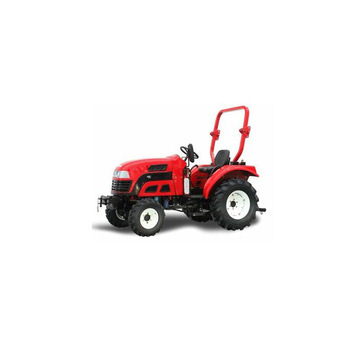 Deals in farm Tractors and Agricultural machineries. 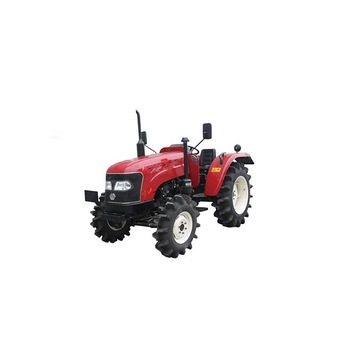 Our main Products are Massey Ferguson Tractors (Brand new / Used Tractor), MF tractor spare parts, FIAT New Holland Tractor (Brand new / Used Tractor), Fiat NH tractor spare parts AND many farm machineries & agriculture implements. We strive with our high quality International standard products, Most feasible Prices , fastest delivery and communication services, AECO is also well renowned due to its best after sales services back up by qualified engineers and spare parts availability. Gold dafeng the biggest exporter for tractors Manufactured in Pakistan. Our Exported Tractors are used for farm cultivation, transportation, industry and commercial purposes. Massey Ferguson tractors and Fiat New Holland tractors, Aeco farming machineries made in Pakistan are world most powerful & durable tractors really worth to their cheap prices which caters all financial classes of any society all over the world. 3.4 wheel drive, Shuttle shift 12F+12R, High Ground clearance. 4.Stable performance in Mountain Area with low maintenance rate. 5.Rear 3 point hitch, can equipped different farm implements easily. 6.PTO according international standard 540/1000. 7. Equipped Hydraulic steering and Shock absorption seat.